Roger Hanna has designed sets for theater, opera, and dance in Japan, Israel, and across the United States, including over 150 productions in New York City. Before joining CSU, Mr. Hanna’s teaching experience included NYU, Rutgers, SUNY, and the University of Miami. He has designed for universities including University of Minnesota, The New School, NYU, Point Park, Ramapo, Temple, and Yale, and served as resident designer for the Mannes Opera since 2004. 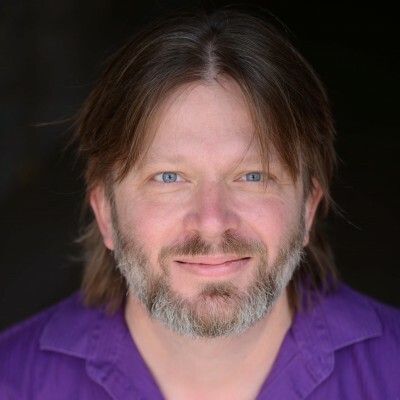 He has also served as resident designer for Playwrights Theater of New York (2000-2004), the Gilgamesh Theater Group (1994-2002), and four discrete NYU Programs (1991-2001). Projects of note include repeated collaborations with Laura Alley, Jack Allison, Jonathan Bank, Trazana Beverly, Tracy Bersley, Joseph Colaneri, Nilo Cruz, Jackson Gay, Robin Guarino, Ron Jenkins, Susan Marshall, Eleanor Reissa, Jody Sperling, and Tommy Tune, at venues including Dance Theater Workshop, Jacob’s Pillow, The Mint Theater, Provincetown Playhouse, Sarasota Opera, Tennessee Shakespeare, and Yiddishpiel (Israel). Awards include the 2009 Lucille Lortel Award for Best Scenic design, as well as three Drama Desk nominations (2006, 2012, 2015), three Henry Hewes Design Award nominations (2011, 2012, 2015), and a Denver Center for the Performing ArtsTrue West Award for Scenic Design in 2017. Mr. Hanna is a member of United Scenic Artists Local 829 and holds a BA in Theater from UCLA, and an MFA in Set and Lighting Design from NYU, and has been on the Theatre faculty at Colorado State University since 2013.